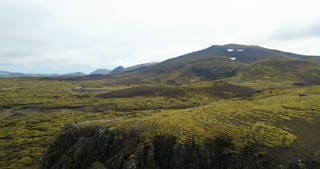 Drone flying over the lava field in Iceland. 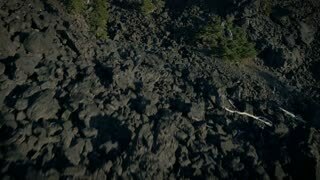 Aerial view of the beautiful landscape of the cliffs with bumps. 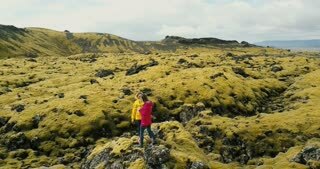 Aerial view of tourists woman standing on the rock on lava field in Iceland. Female use the smartphone in nature. 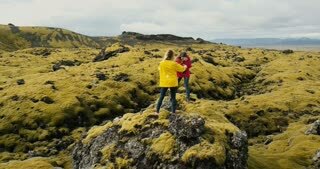 Aerial view of two woman walking on the lava field in Iceland. 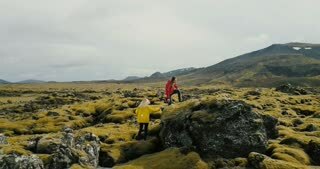 Tourists hiking on the rocks, feeling freedom and happy.